Our newer dancers – their smiles show the fun we had! What a great evening we had at our first Tartan Night of the season on 8 April! With eight sets on the floor, the hall was buzzing with lots of smiles and laughter along with enthusiastic applause for the fine music from Lynne Scott, Mary McDonald and Heather Elder. It’s hard to pick the highlights. The Club’s tartan bunting once again magically transformed the hall with colour. Our very welcome guests from Capital City, Lower Hutt, Ngaio and Tawa Clubs added to the convivial atmosphere. Thanks to everyone who contributed to making it such a good night, whether it was helping with hall setup or pack up, supper duties, wearing the tartan, supporting new dancers or being one of the many who volunteered to wash the tablecloths. And of course, supper offerings were as good as always. Congratulations to young Emma for her successful first cake baking – whisky cake will always go down well at a Scottish do! Lynne, Mary and Heather play their top-tapping music while Rod appreciates the fine efforts of our dancers! Our first Tartan Night of the year is always very special, as our new dancers enjoy their first experience of Scottish Country Dancing to live music. Our tutor Rod Downey says it was great to see so many of our new dancers (who have been dancing for only two months) doing so well at the Tartan Night. 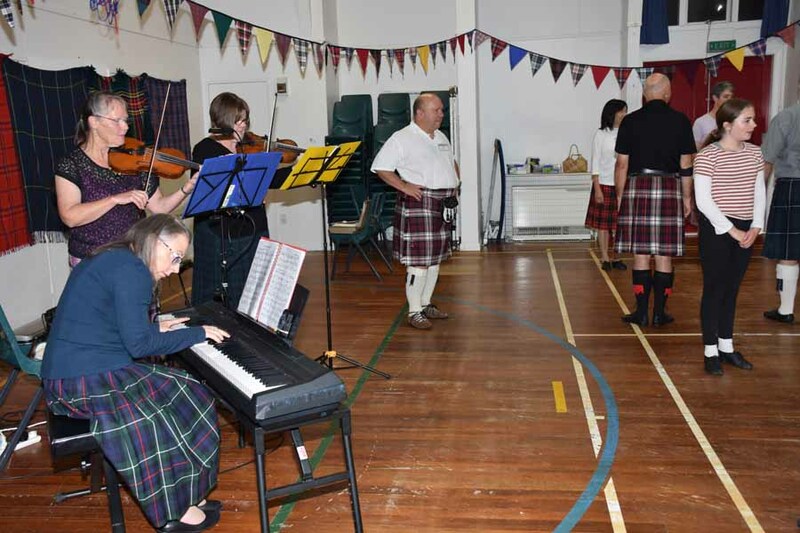 He was particularly complimentary about them getting through Argyll’s Fancy (a 48bar Jig) – with the most welcome help from the more experienced dancers! This entry was posted in Event Reviews 2019 on April 9, 2019 by admin.